The Association of Nigerian Authors (ANA) has joined other Nigerians to mourn the death of the pioneer Chairman of the Independent Corrupt Practices Commission (ICPC) and a former President of the Nigerian Court of Appeal, Justice Muhammad Mustapha Adebayo Akanbi. This was contained in a condolence message issued and signed by the National President of ANA, Mallam Denja Abdullahi recently in Abuja, which described the late judge as a great benefactor of the Associations whose death his shocking and a monumental loss to Kwara state, the Nigerian judiciary and the nation. 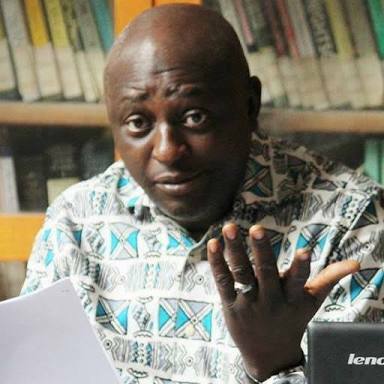 According to the release, “We, in ANA received with sadness and a deep feeling of great national loss, the news of the passing away of our Patron, the Founder of Knowledge Platform and the Mustapha Akanbi Foundation which had regularly and freely hosted and accommodated many of our literary activities since the year 2012. Justice Mustapha Akanbi, whose Son Dr. Usman Akanbi was a former Chairman of Kwara ANA was described as "a principled, dogged and unrelenting legal luminary. Fully committed to any legal and educational course he believed in." ANA President recollected that just recently in April 2018, the late Justice Akanbi graced the National Capacity Building Workshop held by ANA at the Knowledge Platform in Ilorin, where he advised the Association and blessed its activities. The ANA National leader said that Justice Mustapha Akanbi’s death at this point in the re-building of our nation towards the paths of integrity and accountability will be missed by all. "This is because his contributions, not only to the development of the Kwara state, but to the legal and political advancement of our country have been enormous. His type is rare, his personal sacrifices and selfless services to the poor and his people uncommon. He deserves everything that the Federal Government and the Kwara State government can do to give him a befitting honour to immortalize his name as a great legal luminary and scholar." Denja Abdullahi prayed to Allah to give his family the fortitude to bear the loss and also extended his heartfelt condolences to Mallam Yusuf Ali (SAN) and all Kwara ANA members. In another condolence message received by our correspondent, the former National President of ANA, Dr Wale Okediran said, "Late Justice Mustapha Akanbi was a great literary enthusiast and supporter of the arts. Apart from his Authobiography, Justice Akanbi was also the author of some other books. "For several years, he used to hold the meetings and seminars of the National Exco of ANA in his Library inside the premises of his Justice Mustapha Akanbi Foundation in Ilorin. This was in addition to the meetings of the Kwara branch of ANA which was once headed by his son, Dr. Ladipo Akanbi," he noted.